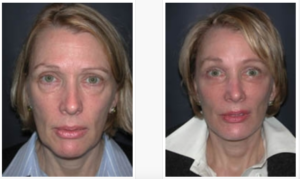 Blepharoplasty – Does Insurance Cover Eyelid Lifts? This a great question. Most insurance companies have specific guidelines regarding criteria for covering eyelid surgery. While there may be subtle differences between different carriers, most insurance companies base their criteria off Medicare guidelines. In general, insurance companies will cover Blepharoplasty or Ptosis repair if the eyelids cause a “visually significant” obstruction of the upper visual field that “affects activities of daily living”. To put it another way, if the upper lids block enough of your vision to significantly affect your life, then blepharoplasty or ptosis repair is considered medically necessary and may be covered by insurance. 1) Physician notes. These notes must clearly document the position of the lids, a decreased visual field, and a patient complaint about the upper lids interfering with certain activities (driving, reading, etc). The lid position should be measured using standard oculoplastic measurement techniques showing the lid or excess skin comes within less than 2 millimeters of the pupil (also called an MDR1 less than 2mm). 2) External ophthalmic photography. Basically these are high resolution photos of the eyelids and eyes. For criteria to be met, the eyelids or extra eyelid skin must clearly been seen to fall within less than 2 millimeters of the center of the pupil. Clear frontal and side photos are required. 3) Visual Fields. A visual field test is a noninvasive way to evaluate peripheral vision. This test is usually performed at an ophthalmology office. The field of vision is tested both with the eyelids in their natural position and with them held up (usually with tape). The difference between the taped and untapped visual field determines whether or not insurance will cover upper eyelid surgery. The visual field must improve by a certain percentage or certain number of degrees depending on the insurance carrier. If the answer is yes, then the next step is to submit all notes and testing to the insurance company. The carrier will then either “pre-authorize” or deny the claim. A pre-authorization means that the insurance company agrees that eyelid surgery is medically necessary and they plan on covering the blepharoplasty or ptosis repair. Although a pre-authorization is very reassuring, they are not a 100% guarantee of coverage. Occasionally insurance carriers will do a second review of the case after the surgery has been performed. Medicare works a bit differently. Medicare does not pre-authorize anything (any procedure- not just eyelid surgery). Medicare does, however, have clearly defined criteria that most oculoplastic surgeons know in detail. Based on the exam and testing, it can be determined if Medicare would typically cover a patient’s eyelid surgery. While most oculoplastic surgeons are correct in their coverage assessment, since Medicare will not pre-authorize surgery, a form called an “ABN” is usually completed and signed by the patient. The ABN typically states that while the surgeon believes Medicare will cover the Blepharoplasty or ptosis repair, the patient is responsible for the payment if the claim is denied. Again, most oculoplastic surgeons will be able to give a fairly accurate assessment of whether Medicare or an insurance company will cover blepharoplasty or eyelid surgery. When the patient wishes to have a procedure even though there is no insurance coverage, an eyelid lift is among the most affordable plastic surgery options. It can usually be performed in the office, without the additional cost of general anesthesia or outpatient surgery assistance. Hopefully this gives some insight about the process and criteria for insurance coverage. 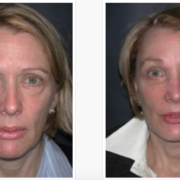 Please contact us at (405) 418-5400 if you have questions or would like further information about Blepharoplasty.